Give your little ones some mind-stimulating fun with the new “First Jigsaw Puzzle – Square” by Young Minds At Play. 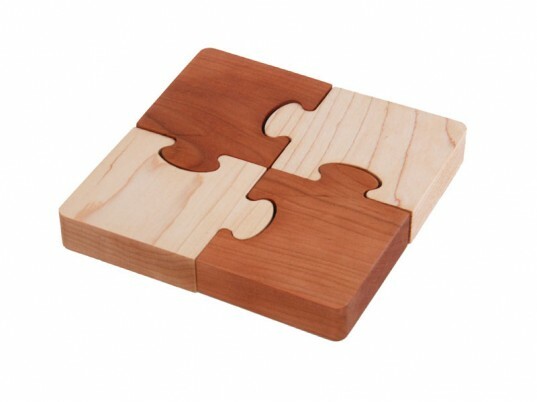 Winner of a 2011 Dr. Toy Best Green Product, this chunky 4-piece first jigsaw puzzle is made in Missouri from locally sourced, sustainably harvested 100% solid maple and cherry hardwood, hand-finished with a safe, food-grade beeswax/oil, and packaged in 100% recycled material. A powerhouse for the brain, the puzzle promotes spatial skills, language and mathematical development, eye-hand coordination, and motor skills. One to three year olds will be challenged by the puzzle’s unique interchangeable pieces. 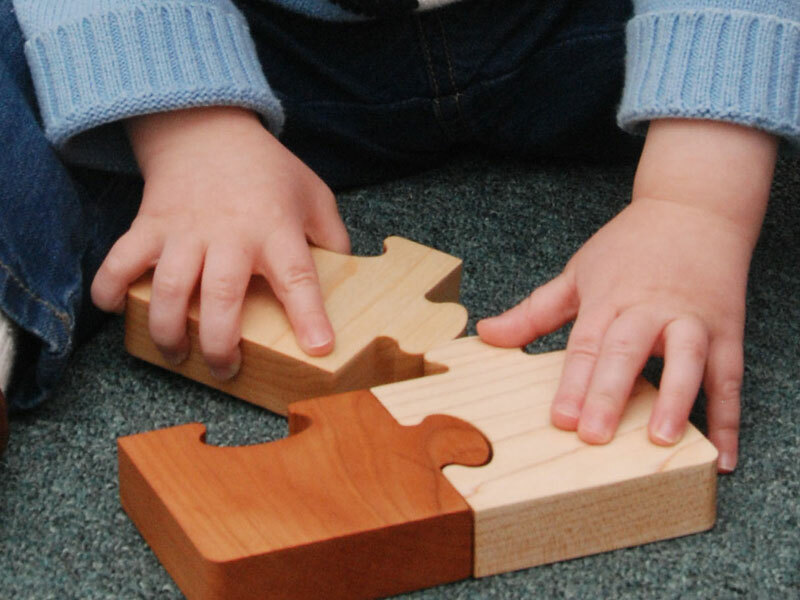 At first, your baby will find it challenging to physically connect two pieces and with this puzzle, any two pieces they select can connect! Next, your toddler will be challenged to build a square. Finally, your older toddler will be challenged to discover why sometimes the square makes a checkerboard pattern and sometimes it makes a striped pattern. Young Minds At Play is an eco-friendly family-run company specializing in heirloom-quality, mind-stimulating, natural, wooden toys. Give your little ones some mind-stimulating fun with the new �First Jigsaw Puzzle � Square� by Young Minds At Play. Winner of a 2011 Dr. Toy Best Green Product, this chunky 4-piece first jigsaw puzzle is made in Missouri from locally sourced, sustainably harvested 100% solid maple and cherry hardwood, hand-finished with a safe, food-grade beeswax/oil, and packaged in 100% recycled material. A powerhouse for the brain, the puzzle promotes spatial skills, language and mathematical development, eye-hand coordination, and motor skills.